The pop punk band Hawk Nelson made an announcement April 26/12 that they had found a new lead vocalist to replace the departed Jason Dunn. The new vocalist is none other that Hawk Nelson’s own Jonathan Steingard. 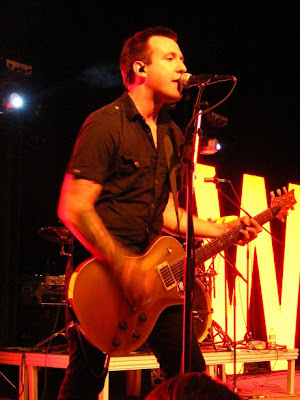 Steingard joined Hawk Nelson in October 2004 as guitarist. Steingard assumes the role with an extensive background as a lead vocalist. While serving as an accompanying vocalist for Hawk Nelson he has had his own side project, as the one man band Fox Run. He has also produced a number of solo EPs as Jonathan Steingard. Jason Dunn decided to take the solo route after fronting Hawk Nelson for the past 10 years. Dunn’s new project is Lights Go Down (facebook.com/lightsgodown).